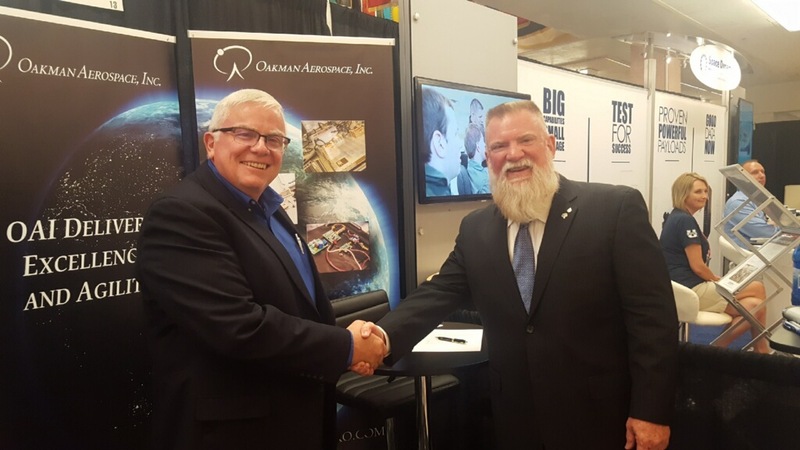 August 29, 2017 – Teledyne Brown Engineering (TBE) and Oakman Aerospace, Inc. (OAI) announce a partnership centered on the Multi-User System for Earth Sensing (MUSES) which was launched on June 3, 2017 and is currently operating aboard the International Space Station (ISS). This platform was developed as part of a cooperative agreement with Teledyne Brown Engineering and NASA and will provide opportunities for imaging, technology demonstration, and space qualification payloads supporting commercial, research, scientific studies, and humanitarian efforts. Accommodating up to four payloads simultaneously, MUSES offers the ability to robotically change, upgrade, and service instruments placed aboard the ISS. In cooperation with NASA, MUSES payloads have the unique ability to return to earth allowing for post-mission analysis and preservation of investment through the reusability of the instrument and canister. In order to minimize instrument modifications and reduce time to launch, Teledyne Brown Engineering is working with OAI to develop a rapid integration, standard interface that will reduce customer cost and integration time. The standard interface will enable communication from payloads to MUSES and the ISS environment without modification or re-design. OAI’s interface can also be configured to support standard satellite buses if a free-flyer mission is the customer’s ultimate goal. Customers will develop a sensor or component’s interfaces to support its intended mission. Leveraging OAI’s modular and open-system architectures background, the hardware will seamlessly integrate the payload into the MUSES environment. Customers receive the benefit of accelerated development, by the use of a technology demonstration flight, without the penalty of additional design effort or increased risk.